I hate packing. I don't think I know anyone who doesn't! You spend a ton of time trying to figure out what outfits you want to pack, how to make everything fit, and then you ask yourself "Did I forget something?" 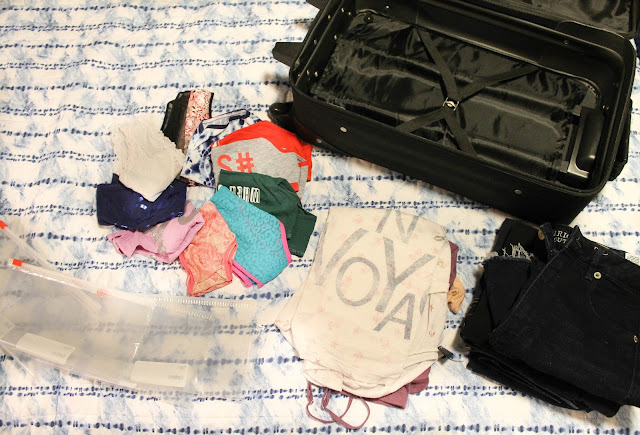 I'm super excited to share a few of my favorite packing tips with all of you! I'd like to start by sharing what you should pack. The key to packing outfits for a trip is to pack the essentials, plus a few fun pieces that you can create multiple outfits with. Let's start with casual wear! You can create multiple looks with these seven pieces (jeans and leggings below items). 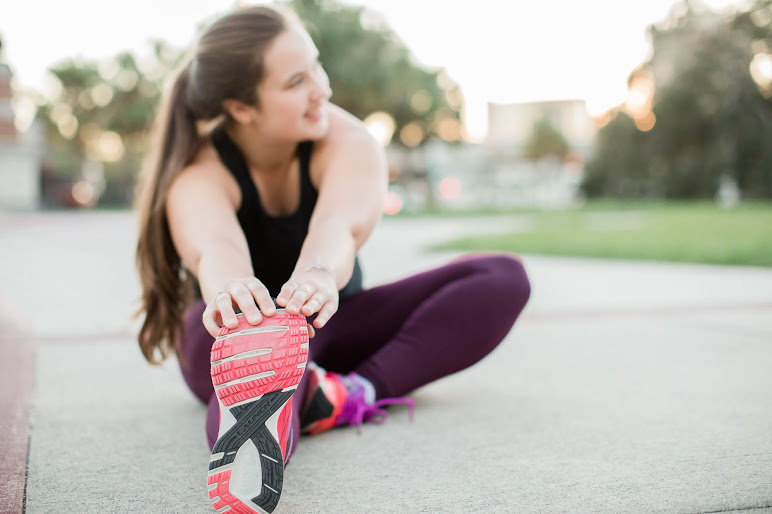 Each top pairs with both pairs of jean shorts, and jeans and a few tops pair perfectly with the leggings. The romper is a cute alternative for those days when you want to switch it up. It's important to bring a few dressier options because you never know where your trip will take you! I like to pack at least two dresses; one dress that is more formal, and another that can be dressed up or down. I also like to bring at least one top that can be worn with shorts or jeans and a cardigan for a night out with the girls or date night with your special someone. 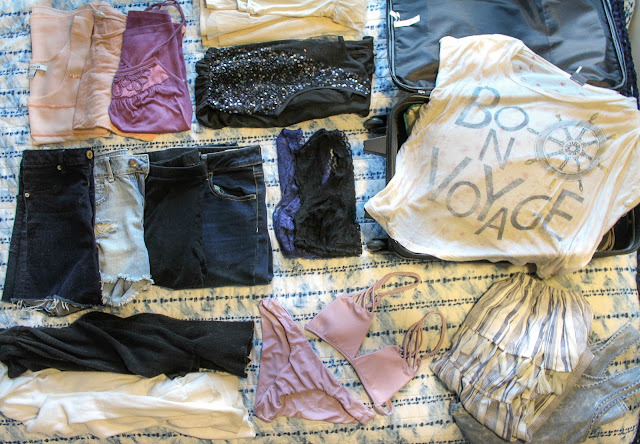 Finally, my favorite things to pack: swimwear & cover-ups! For cover-ups, I like to bring something that is not as see-through so that I can wear it as another outfit. 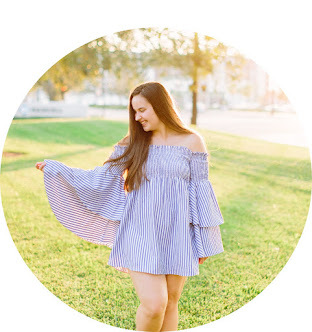 I found this adorable romper from ASOS for only $40! I also recently discovered this local swim company called Aurora swimwear. Their suits are so soft and comfy and this one is the perfect color for sun-kissed skin! I'm sure you're wondering "how does everything fit in one small suitcase?" The answer is plastic bags! Go to your local grocery store and purchase gallon size zip lock bags. With these zip lock bags, you're basically creating those space bags you saw on TV years ago (that really do work I might add). Let's start by packing your tops. 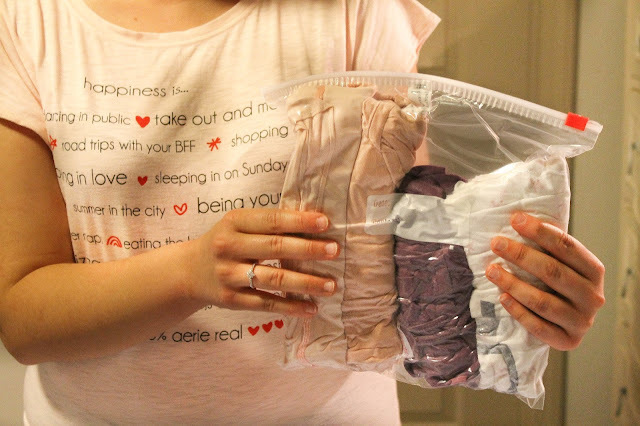 Grab any top and roll it up long ways as tight as possible, then put it at the bottom of your zip lock bag. Repeat this step until you have fit 2-3 more tops in the bag, or as many that will fit. Once you do this, fold the bag over, zip it half way, and begin pressing the air out. Once all of the air is out, completely close the bag. This will eliminate extra air space within the bag and flatten it out. When you do this for all of your clothes, you have more room to bring back souvenirs or new clothes haha. :) I will add that this does not work as well for thicker material items such as jeans or sweatpants. Those items are best kept flat or rolled up. If you're hopping on a plane, this tip is especially useful because those who check baggage will be able to see what's in your suitcase more clearly without having to touch everything. Now, I can't guarantee they won't open the bag and look through your stuff, but every little bit helps! I really like to do this with my undergarments, because the thought of someone else handling my undergarments kind of freaks me out. There you have it! 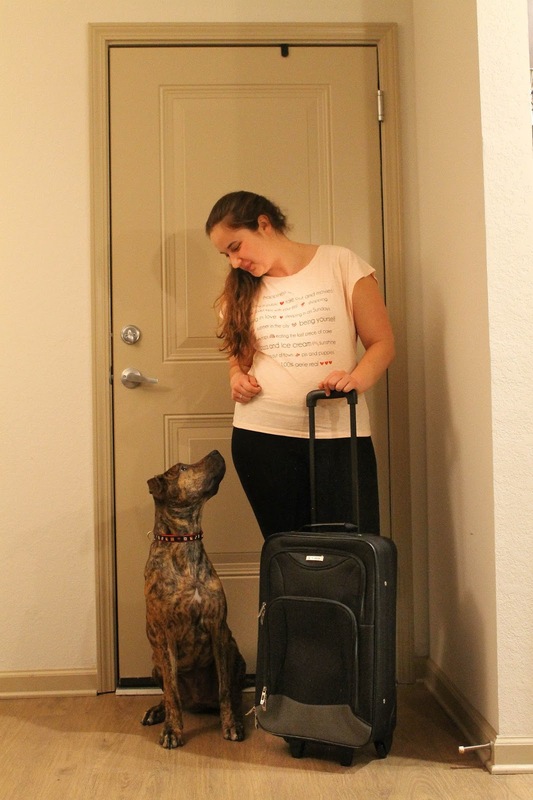 I hope you enjoyed all of my packing tips and I hope they help you for your next adventure! P.S. Traveling alone is fun, but traveling with a friend is even better!